"A marvelous job of exploring first hand the implications of storing our entire lives digitally." -Guy L. Tribble, Apple, Inc. 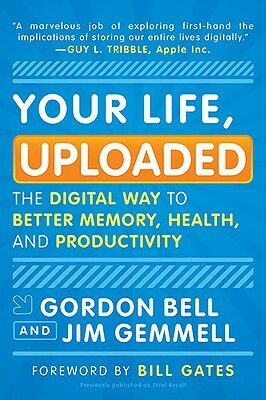 Your Life, Uploaded is an invaluable guide to taking advantage of new technology that will fascinate and inspire techies, business people, and baby boomers alike. GORDON BELL, one of the world’s preeminent computer scientists, is a principal researcher at Microsoft. He lives in San Francisco and Sydney, Australia. JIM GEMMELL, senior researcher at Microsoft, has been working with Bell since 1995. He lives in San Francisco.